Relax and massage your feet with the REJUVENATION® Foot Therapy Roller. This therapy roller for your feet pampers tired feet, relieves the body from stiffness and increases blood circulation. 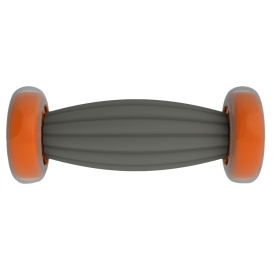 Soothe your sore feet, relieve tension and relax your muscles with the roller. Stretch out your body and reduce pain for a better, healthy lifestyle.